Clare Hunter has sewn since she was a child. She has been a banner-maker, community textile artist and textile curator for over twenty years and established the community enterprise NeedleWorks in Glasgow. She was a finalist of the Aesthetica Creative Writing Award with a story published in its 2017 Annual. She was also a recipient of a Creative Scotland Award in 2016. She lives near Stirling in Scotland. 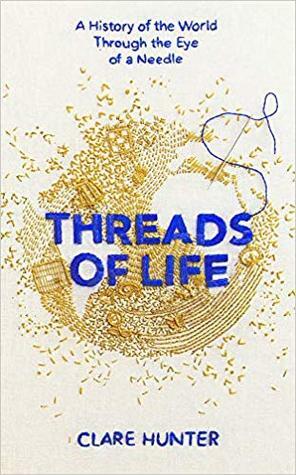 Threads of Life is her first book.